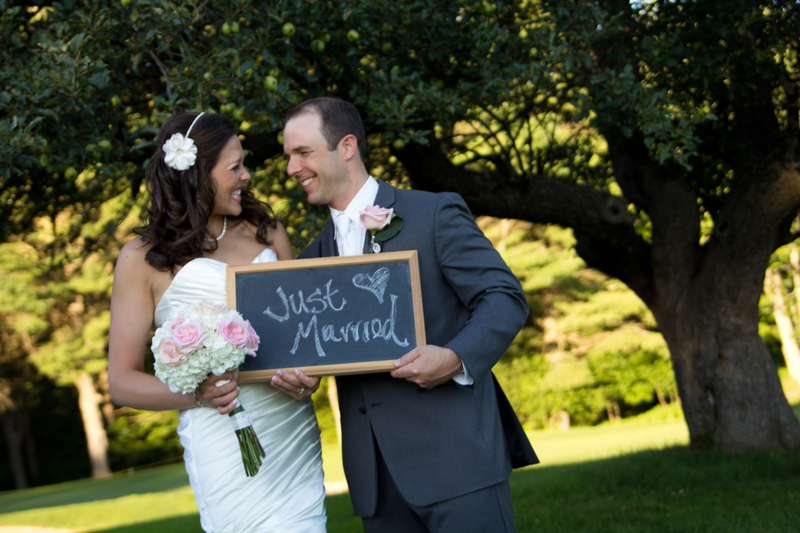 Together 3 years, Katie and Adam decided it was time to make things official. 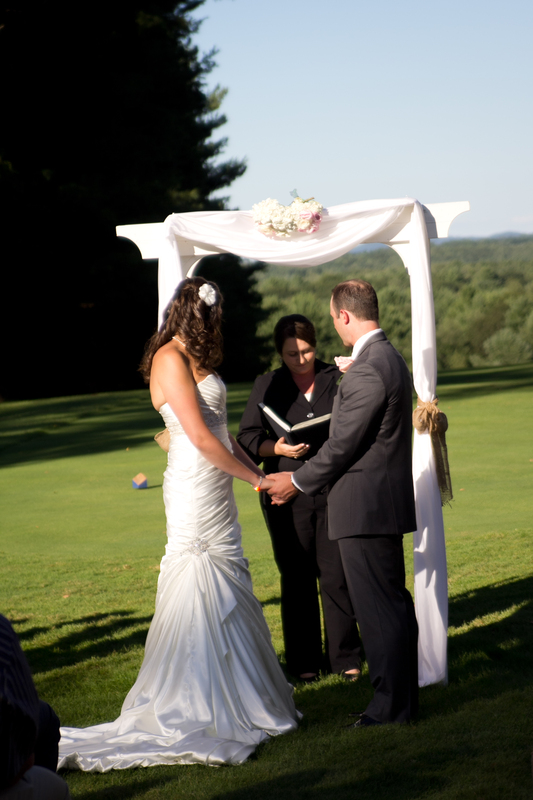 So, I had the honor of joining them together on the golf course at Martindale Country Club. Their rehearsal was held on Friday, the evening prior to the big day. It was a generously sized wedding party (which always keeps an officiant on their toes), so I was really hoping to be able to do a run-through in the actual location the ceremony was to be held. It had been pouring rain on and off all day but the rain stopped long enough for us to run through the most important parts…Thanks to a bit of cooperation from Mother nature and a “get down to business” kind of group. Though the weather forecast called for Saturday to be beautiful, I must admit that based on the weather Friday evening, I was beginning to get a little worried for Katie and Adam. As it turns out, my concerns were completely unnecessary. When I arrived at the venue on Saturday, the weather was amongst the nicest of days I can recall us having all summer. 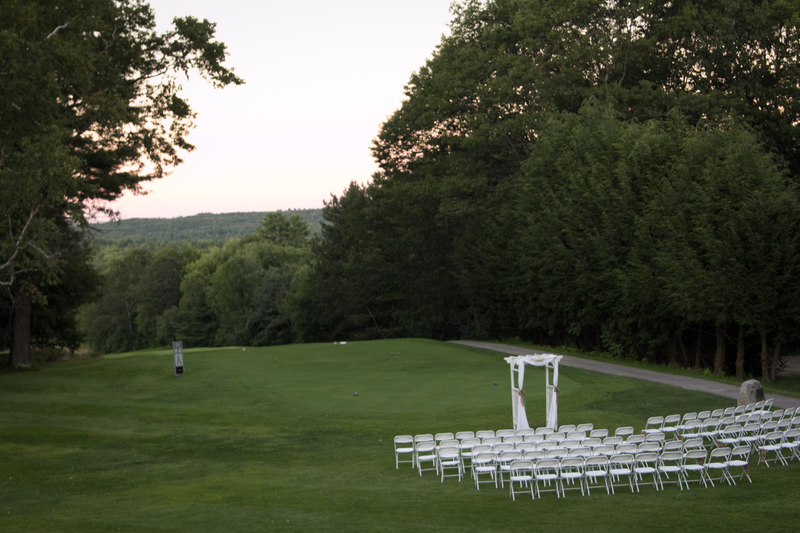 And it was most certainly, the absolute perfect weather for an outdoor wedding. Blue skies, no humidity, not too hot, not too cold and…Very mild, if any, wind. Let me digress for just a moment, here. Wind. It’s one of those things that I think about first when it comes to outdoor weddings. It has the potential to turn a beautiful, peaceful and graceful ceremony into a feat which should be part of the Summer Olympics. The object would be to see which officiant can manage to hold the pages of their book in place, hand tissues to the bride and groom, hand pages of readings or vows to the couple or other honored speakers, keep their hair out of their eyes, follow the ceremony with their finger (so as not to lose their place), all while taking, holding and passing rings. And for extra points…Give a candle lighting ceremony a shot. Of course, I do have a few tricks up my sleeve to wage a war and win against the wind (try to say that three times fast). Anyhow, thanks for letting me throw that around a bit. So back to Katie and Adam. The weather, as I said, was absolutely perfect. Lucky them. Or, lucky us! Given that each couple is unique in their situations, I am never surprised when a new idea is introduced by a couple. This time, Katie and Adam wanted to incorporate a recording of Adam’s mother singing in a church mass. Sadly, Adam’s mom passed away about 5 years earlier, so this was a fantastic way to honor and include her memory in their ceremony. I spoke a few words about the contributions Adam’s mother made to this day in her raising of Adam, the significance of including this piece in their ceremony, and then the song began. It was a powerful moment. We then lightened things up a bit and the ceremony moved along flawlessly. 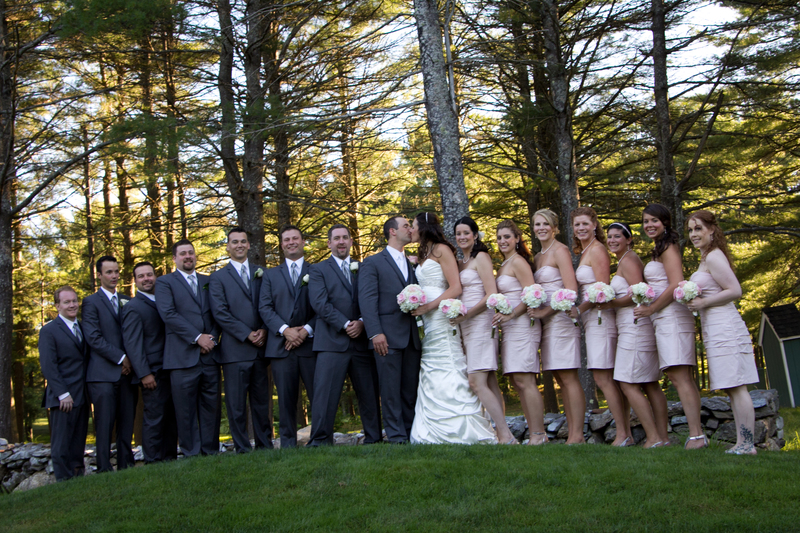 I would also add that I was impressed with Ashley Mower of Mower Photography out of Turner, Maine. She was sweet as can be. She was also kind enough to share, with Adam and Katie’s permission of course, a number of photos and a DVD of the ceremony. Credit for all photos on this page go to Ashley. Please visit Ashley’s website or Facebook page. Her contact number is (207) 653-5863. 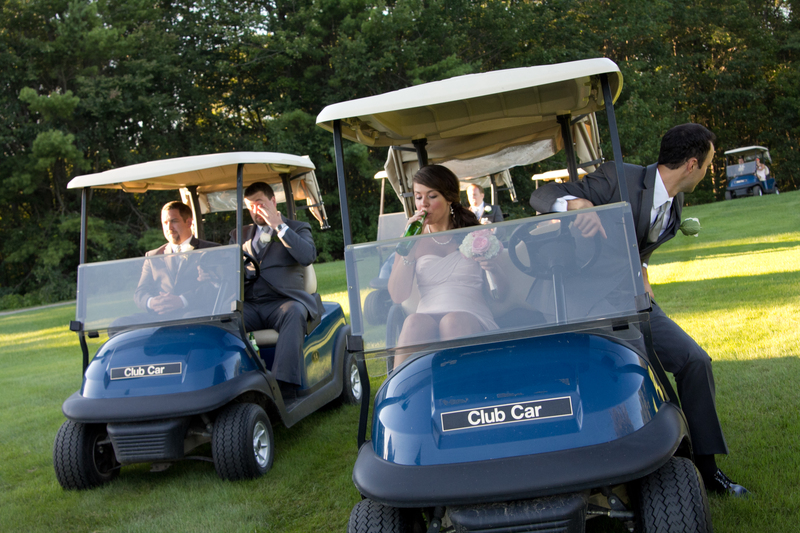 I missed out on watching the wedding party riding golf carts, but thanks to Ashley, I did get to see the pictures. One of which I found particularly amusing. Who doesn’t love a beer drinking, golf cart riding bridesmaid? 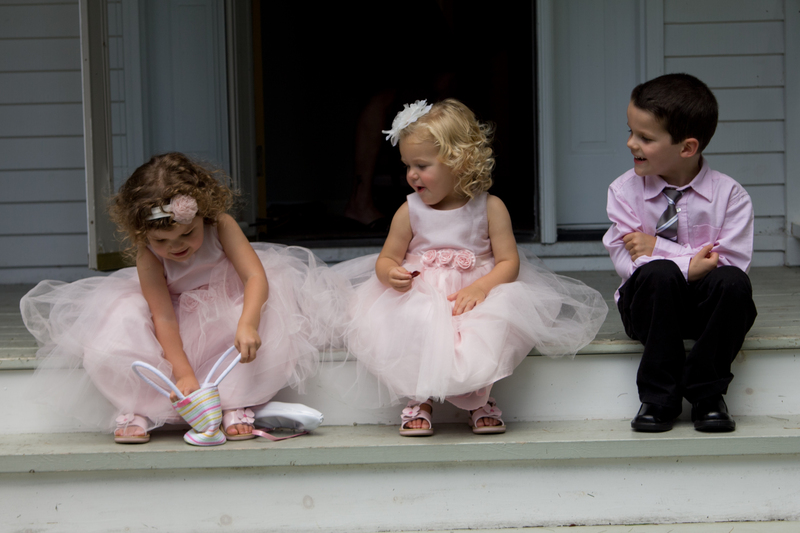 Katie, Adam, their family, their friends and their vendors really made the day easy and fun for everyone. Carl Hoffses of The Music Man DJ Service out of Portland provided music during the ceremony and the reception. He was personable and a pleasure to work with as well. It was my honor to marry the two of them and they have my wishes for the best-of-the-best in their future together.